A select group of magazine editors, designers, and other denizens of publishing’s late hours will remember Fred Woodward this way: sitting in his darkened office, staring silently at the raw materials of his trade—an image, a headline—and waiting. Andie Zellman, an editor who worked with him in the early 1980s atWestward magazine, described the state as “Fred’s art trance.” Robert Wallace, senior story editor of Primetime Live and former executive editor of Rolling Stone for seven years, calls Woodward’s creative process “a world where Everests become ‘A’s and innertubes become ‘O’s and maybe only John Coltrane and Ornette Coleman can really understand what he’s trying to do.” To those who’ve observed him at work, he appears to be, in the words of Leonard Cohen, “waiting for the miracle,” the inspiration that will produce a page architecture that unites font, photography, design and journalism into a creation more powerful and sublime than each of its parts. As the art director of Rolling Stone, Woodward has, in nine years, on a twice-monthly deadline, compiled a body of work that has redefined the possibilities of editorial design. 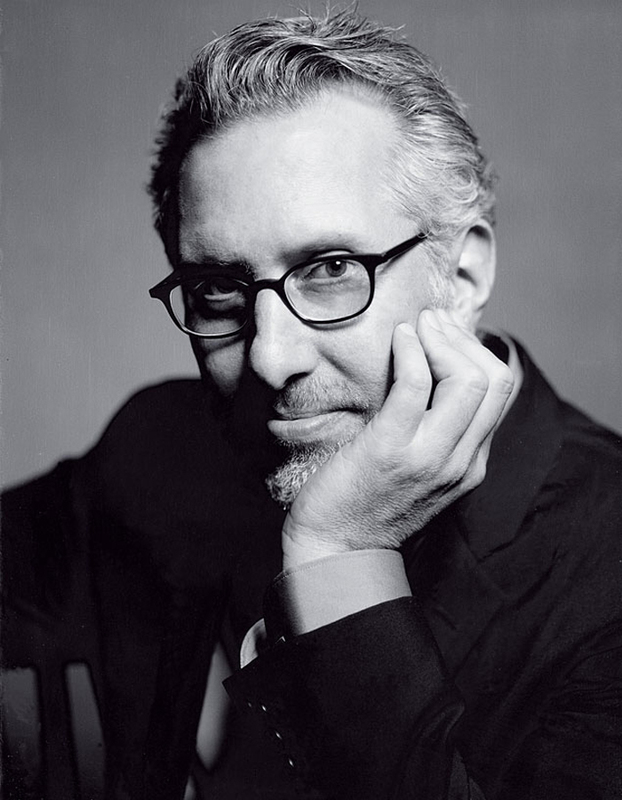 In the process, he has driven himself to become, in the estimation of Paul Davis, “one of the best magazine art directors of all time.” Woodward’s Rolling Stone has garnered more awards than any other magazine in the US and has hastened his entrance into the Art Directors Hall of Fame as the youngest inductee to date. Woodward’s arrival at the Fifth Avenue offices of Rolling Stone in 1987 was the natural culmination of a life journey begun in Noxapater, Mississippi (pop. 500), in 1953. As a student at Noxapater High (where he made all-conference quarterback), he found himself attracted to graphic design before he’d ever heard the term. Music provided the gateway. At 17, he was mesmerized by the cover of Crosby, Stills, Nash and Young’s Déjà Vu. “Gold-leaf type, the cover embossed like leather, a tip-on picture—the materials were so rich, I was fascinated,” Woodward says. During high school, he likewise took note of a three-year-old music magazine based in San Francisco and spent hours copying his first name in the psychedelic style of the logo. At Mississippi State University and later Memphis State, Woodward switched majors from journalism to physical education to political science before settling on the graphic arts. He had taken only two courses in his new major when he landed his first job at Jack Atkinson’s design studio on Goodbar Street in Memphis. The pay was $40 a week, the hours were grueling, but the chief client was the new regional magazine, Memphis. I remember asking Jack what an art director did,” says Woodward, “and a week later I was one. They felt so bad about what they were paying me that they just put me on the masthead.” At 23, he began a four-year stint as the art director at Memphis, working on intuition and youthful energy, taking as his paragon the Rolling Stone of Mike Salisbury, Tony Lane, and Roger Black. In 1980, he moved to Dallas’s D magazine and then to Westward, the Sunday supplement of the Dallas Times-Herald, where the staff consisted of two editors and Woodward, who was just beginning to trust his trances. Woodward enjoyed total control at Westward, but he was also convinced that “nobody was looking at it.” To get feedback from his peers, he entered the Art Directors Club competition for the first time in 1982. The results stunned him; so much of his work was accepted that he had to take out a small business loan to pay the hanging fees. In 1983, he joined Texas Monthly. The circulation was bigger, the platform more visible, and his work started to regularly attract national attention. Here, he began relationships with some of the greatest illustrators and photographers in the country.